Take one part Arizona wineries, add tasty Sedona cuisine, marvelous music, vendors galore, an exclusive VIP area, mini seminars on all things wine, toss in exciting raffle prizes, an Art Exhibit, and some fantastic views, and what do you get? Sedona Winefest 2014, which has become a fall tradition in Sedona. 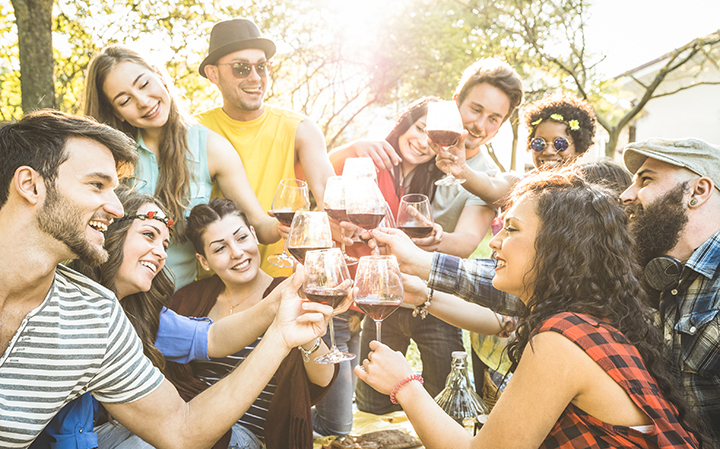 Just as the wine industry has blossomed in Arizona, so has the attendance at Sedona Winefest, growing from 700 guests in 2009 to over 2500 in 2013, and drawing wine lovers from near and far. Come join us for Sedona Winefest 2014, and experience and taste the spirit of Sedona. Our exclusive VIP Premium area will feature select wines only available with a Premium admission. The VIP area has once again been expanded to include more room inside as while retaining its exclusive outdoor seating area. We are adding fine food in the form of small bites from local chefs and an exclusive art exhibit. Last year the Premium admissions sold out in advance, and will once again be limited in number, so be sure to purchase yours here early. As an added attraction to enrich your experience at Sedona Winefest, we offer an educational area where highly respected experts from the wine industry will be giving short seminars. They will be sharing their expertise on everything from how to truly appreciate wine to the elements of winemaking and the importance of vineyard climate and location. Treat your palate to tasty food from local Chefs while sampling the many Arizona wines from the Verde Valley and Southern Arizona. Enjoy the beautiful vistas while you sip wine and savor the great food and music in our shaded courtyard seating areas. A wide variety of vendors will offer goods and services. Talented local musicians will play from 11:30 to 4:30 on Saturday and noon to 4:00 Sunday. There will also be ample opportunities to win some great raffle prizes at our hourly drawings. Raffle tickets and extra tasting tickets will be available in the tent. Remember, you will have the opportunity to purchase your favorite Arizona wine by the glass, bottle or case, so please join us for a fun-packed day!